The Bike Store At Your Door! Our Group Tune™ saves both time and money on our popular Mobile Bike Tune Up. This special offer will help insure your bikes are ready to ride and you can be on your way to family fun and adventure! Special $59.00 per bike– save $10.00 each! 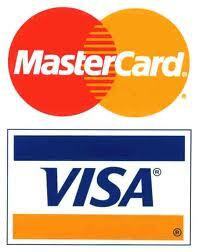 Special pricing applies when three (3) or more bikes are tuned during the same appointment (regular price $69.00). Your bikes will be ready the same day and ready to ride! Call us or schedule an appointment and get back on your bikes riding and enjoying the best time of the year with your friends and family! 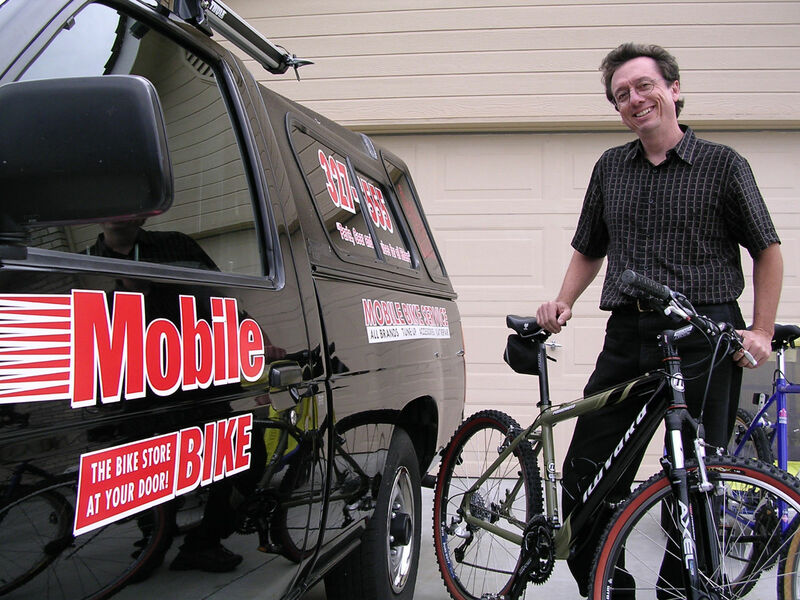 *See our Services page for additional information on our Mobile Bike Tune Up. We also offers parts and accessories including road and mountain tires, flat prevention solutions, lights, bike pumps, locks, multi-tools, cycle computers and a variety of saddles including performance and comfort. Please call if you need a special item or part, we carry hundreds of items in stock and most non-stock parts and accessories can be here in two or three days. And we’d be glad to deliver and/or install them on your scheduled day. Any bikes that are added after our arrival may not qualify for special pricing. Note: Minimum of (3) bikes required to qualify for Group Tune pricing during peak biking season; business requirement listed below. How it works at your office: four easy steps! 1. Choose a contact person, who is the main point of contact: (4) bike minimum for business. 2. This contact person should complete the Group Tune Sign Up Form which is below. After which, a time and date can be scheduled for the Group Tune. It may be helpful to make copies for all the people involved, so they have all the information they need. 3. Call Marty at 327-5555 to schedule a time and date, he will also pick up your completed information or you can email this to him at marty@mobilebike.com. 4. Participants bring in their bikes to work or other designated location on the scheduled day. 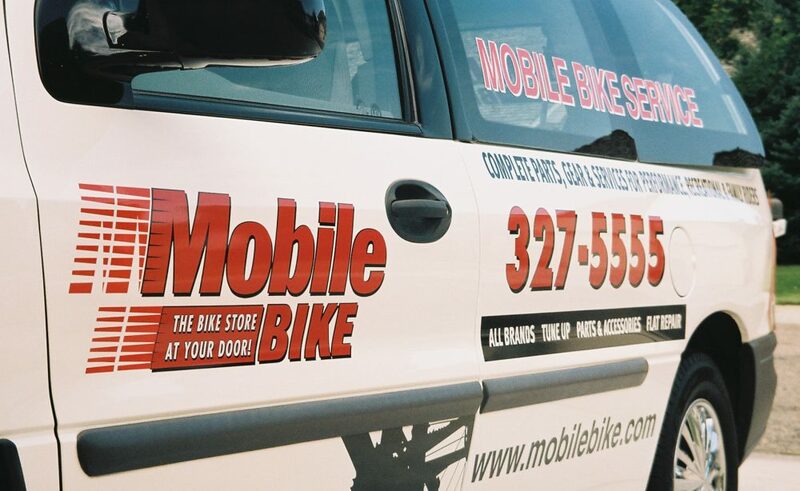 Mobile Bike will tune up and have your bikes ready to ride the same day! Note: only the work described in the Group Tune may be performed on the specified day, with the exception of small repairs such as flats, cables or quick fix. Extensive repairs are scheduled as time allows; thus insuring all bikes are tuned up on time.